The famed Buttermilks Main hillside- one of the premier bouldering destinations in the world. 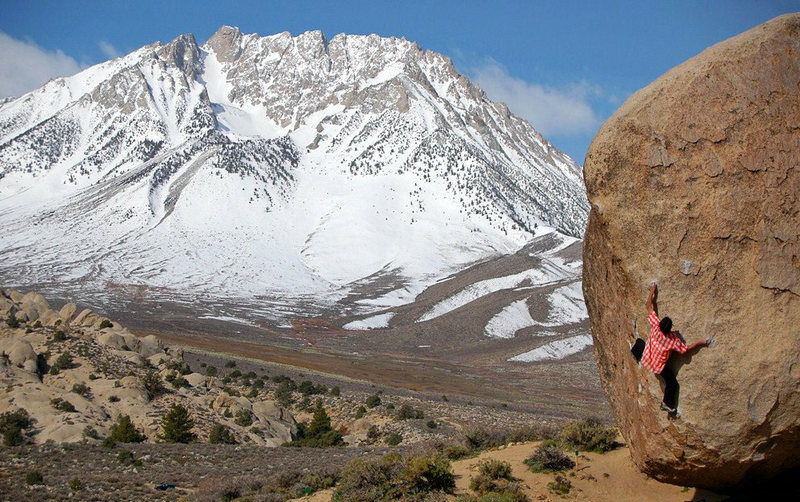 This is the main bouldering venue in the Buttermilks, offering the highest concentration of boulders and classic routes within a convenient roadside locale. Climbers flock from all over the world to test themselves on this hillside, pushing both their physical and mental limitations on these massive blocs. Most first time visitors will be overwhelmed not only by the breathtaking beauty of the area, but also by the shear quantity of classic boulder problems in the vicinity. If you're new to Bishop and/or the Buttermilks make this area priority #1. The landings are flat and sandy, and the setting is unbelievable. The area's approximate boundaries lie from the Stained Glass/Flyboy Area on the west end of the hillside, across and eastwards to the giant Peabody Boulders. Featured here are hundreds of great boulder problems and classics such as 'The Mandala', 'Evilution', 'High Plains Drifter', and the ever-popular 'Iron Man Traverse'. 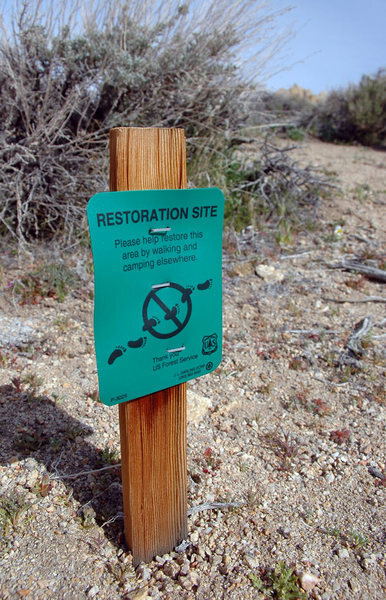 Due to the ever-increasing popularity of the area, foot traffic and human impact has had a huge effect on the vegetation and ecology of this fragile desert environment. Please avoid all plants and pack out all trash. Make it a point to stay within the designated footpaths. Approximately 3.5 miles down Buttermilk Road. The boulders will be on your right, clearly visible and obvious from the road. These boulders can be accessed either by the parallel-style Peabody Parking Area or the parking loop at the Birthday Parking Area, farther up the road (take a right after the cattle guard). Rain storm slowly moving across the boulder field. Warming up on the sunshine boulder. The Smoking Boulders. Photo by Blitzo. Birthday section. Photo by Blitzo. Petroglyph Pig. Photo by Blitzo. Bouldering in the Buttermilks at sunset. Boulder hopping with a view. Thinking about this makes me miss the 'Milks. It's been a while since I've climbed there. I drank my first ever beer while camped under Grandpa Peabody, and this was my first bouldering specific road trip back in 1997 for Spring Break!